Inside the Brechler Press Box, state-of-the-art amenities meet the tradition and ambiance of Kinnick Stadium, creating a first-class atmosphere for your next event. The $90 million dollar facility offers four different event spaces to accommodate groups of every size. 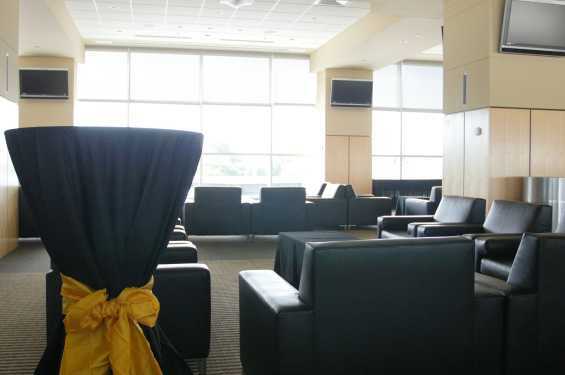 Whether its a staff meeting for ten or a social event for 200, the Brechler Press Box is the place for you. Located on the University of Iowa campus, just two miles off of Interstate 80 it is easily accessible from any direction.